I’m currently drinking merlot and listening to La Vie Rose as I write this review because it only seems fitting. If I could be sitting in Nantes, France, I’d be there in a hot second but this is as French as I can get under the circumstances. This book was the perfect dose of dreamy and whimsical, carefully tinged with sorrow and heartbreak. It was about the possibility of everything – the feeling before the storm, and I loved every second of it. Brooke is the kind of girl who blends so seamlessly into a crowd; she knows how to get away with things just because she can. Who’s to stop a girl from having an affair with her professor when it’s just so easy to get lost in? 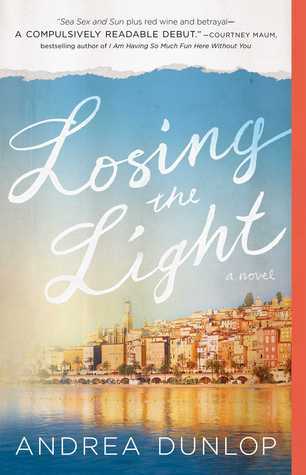 When things get messy and she’s suddenly seated on a plane to France for a semester abroad, she realizes just how lucky she is to have this kind of opportunity. Brooke pairs up with Sophie, the iridescent and striking classmate who is also spending the semester abroad, and the two become inseparable. They form a bond that, to some, seems unbreakable, a best friendship that is stronger than any other relationship they’ve had because they are Sophie and Brooke, each halves that make up a whole. Enter Alex de Persaud, the mysterious and intriguing French man who will make their lives a living dream. Brooke falls helplessly for Alex’s charm and wit – he is everything that she wants and needs. He is the antidote to the fever she can’t seem to shake; she is in love. But love isn’t ever simple, especially when Brooke isn’t just Brooke without Sophie. Cue the sound of more wine being poured – this story will leave you crying over the tragic reality of love and the immense toll a toxic relationship can take on a person. An extraordinary debut from a writer whom I can now consider one of my favorites in this genre. I'm beyond excited to read whatever Andrea Dunlop writes next because it is sure to be a new favorite of mine. Andrea Dunlop lives in her hometown of Seattle, Washington, where she works as the social media and marketing director of Girl Friday Productions. 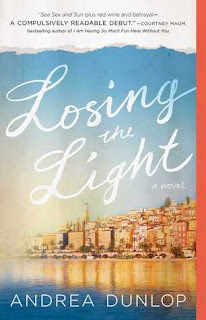 Losing the Light is her first novel. Lovely review! I LOVED this book. I read it in less than two days. Loved all the French language and culture in this book! And it left me thinking about it long after I finished it.